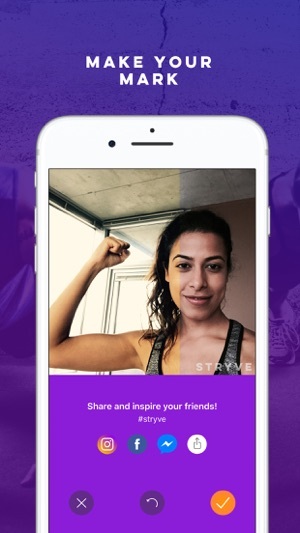 If you have any feedback for us on how we can make Stryve perfect for you we would love to hear from you at hello@stryve.fit. Continued performance and stability improvements! 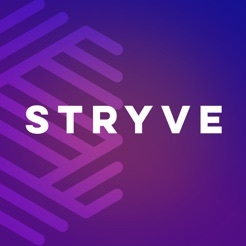 Stryve is a good idea that is poorly executed. Having packaged workouts that get progressively harder eliminates the paradox of choice problems that most fitness apps have. However, the app is frustratingly rigid. 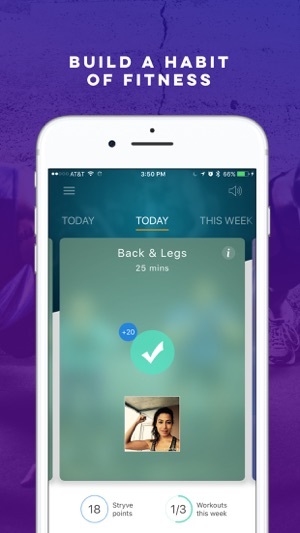 You can’t like/dislike certain exercises, so you’re stuck with whatever the app decides is best. The only option you get is to “make it easier” or “make it harder,” but, guess what? It doesn’t work! Every time I try to adjust the difficulty, the next exercise has the same difficulty rating as the previous one. Extremely frustrating. Furthermore, the workouts move at a pace that doesn’t reflect reality. There’s no time to transition in between exercises. You have to pause the workout after every exercise, so you can adjust your position, grad the needed equipment or take a sip of water. I won’t be renewing my subscription if these issues aren’t addressed. This app is great. I tried a few others, but I finally settled on this one. It offers a nice variety of exercises, really gets my heart going and makes me feel stronger. It's also fun. The biggest advantage for me, over the others apps, is that it strengthens my back and core muscles without putting much strain on my lower back which has been bothering me for years. Been using for about 6 months now (on and off haha). 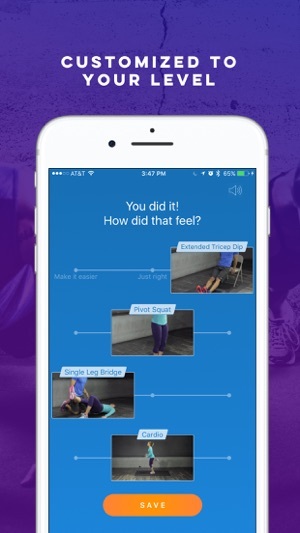 This is a great app for calisthenics exercises. No need to go to gym or buy exercise equipment. I use it a lot while traveling. It has sync with Apple’s health app so all your data is stored. There is a ton of free stuff on the app to get you in the habit before you ever have to think about paying for anything. Would highly recommend.